So he smoked crack. And yeah, he’s the mayor of the most populous city in Canada. So what? 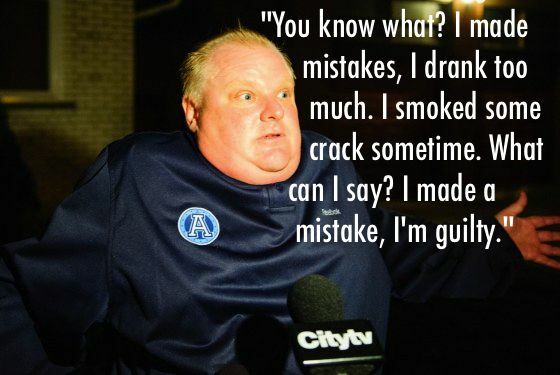 Maybe Rob Ford wouldn’t have been led to take a few puffs on the crack pipe if all those lamestream media jerks hadn’t stressed him out so much with their incessant nagging. From the “oriental” work ethic to the facts behind AIDS transmission, the porcine and pinkish mayor is filled with rich insights into the intricacies of the world…if only we’d get over the crack and give him a chance! Rob, we’re rooting for you.